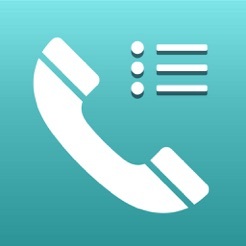 Note: This application will only work in conjunction with the ProCloud UC business phone service from ADTRAN. 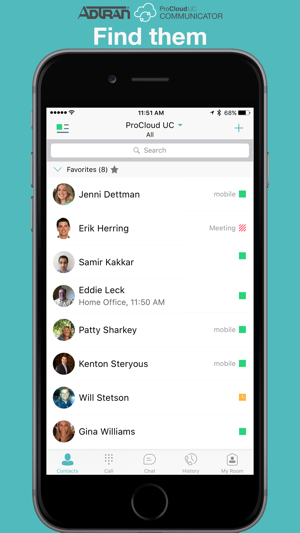 ProCloud UC Communicator is a user-friendly app (often referred to as a soft client) that runs on the most popular platforms for smartphones, tablets and computers and delivers all of the ProCloud UC functions from from a single app. 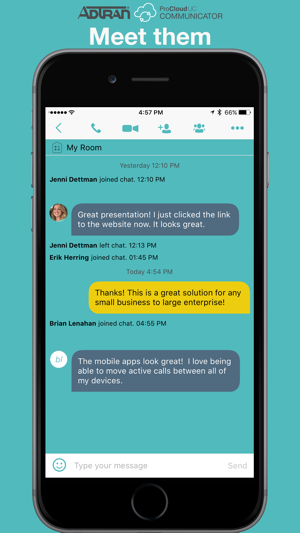 Designed with the user-experience in mind, the ProCloud UC Communicator app makes it easy to access telephony features, pull active calls between devices, send and receive instant messages, and collaborate with voice, video and desktop sharing to improve worker productivity and streamline business operations. 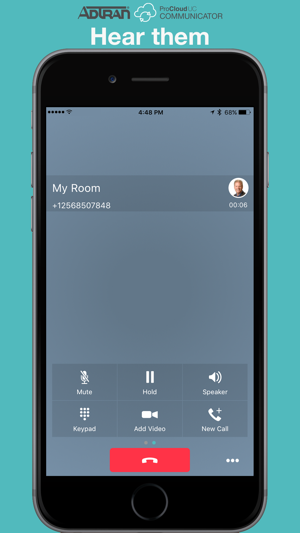 - iOS 10 CallKit Integration that lets users receive incoming calls and make outgoing calls using the system-provided phone UI. 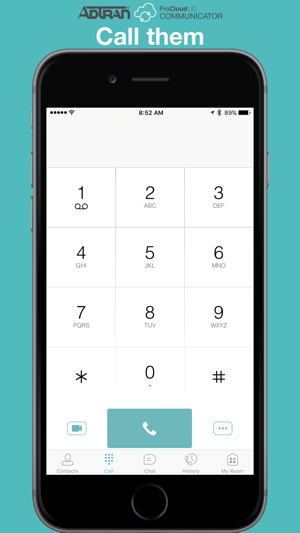 - VoIP Push Notifications for reducing battery impact and delivers a better experience by registering for and receiving call notifications. 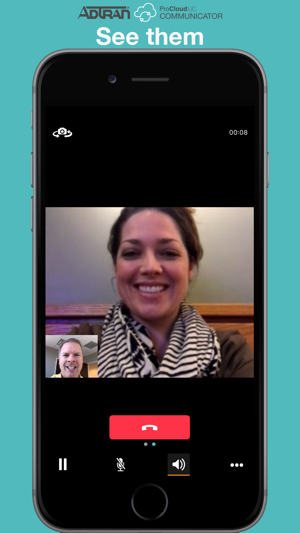 The ADTRAN ProCloud UC app is here! Great addition to the ProCloud Subscription Services suite. Works great!